Montebello is an executive style 3 bedroom plus den, 3 and a half bath town home, located in the Village North area. This upscale unit features a king bed in the master bedroom, queen bed in the second bedroom, two twin beds in the 3rd bedroom and a sofa bed in the living area. 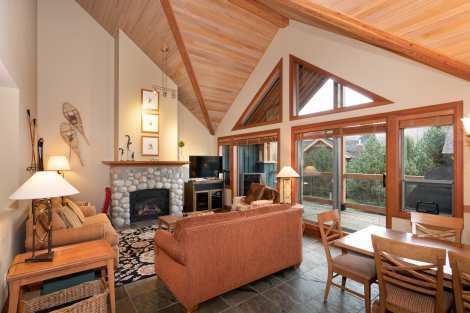 The living area features vaulted ceilings, a gas fireplace and flat screen TV with DVD player. The gourmet kitchen features granite counter tops, stainless steel appliances and heated flooring. 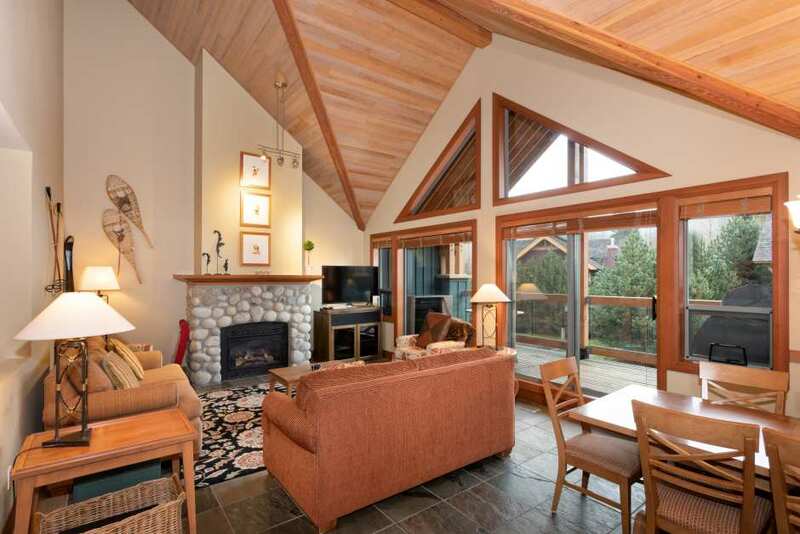 This property also features beautiful landscaping and air conditioning for the summer months. In-suite washer/dryer, free wireless internet and parking are also included.